Rhos FynachA little about us and a brief history of the Rhos Fynach. Our intention is to maintain Rhos Fynach’s old world charm whilst offering quality, fresh, delicious food for the pub, restaurant and function room. 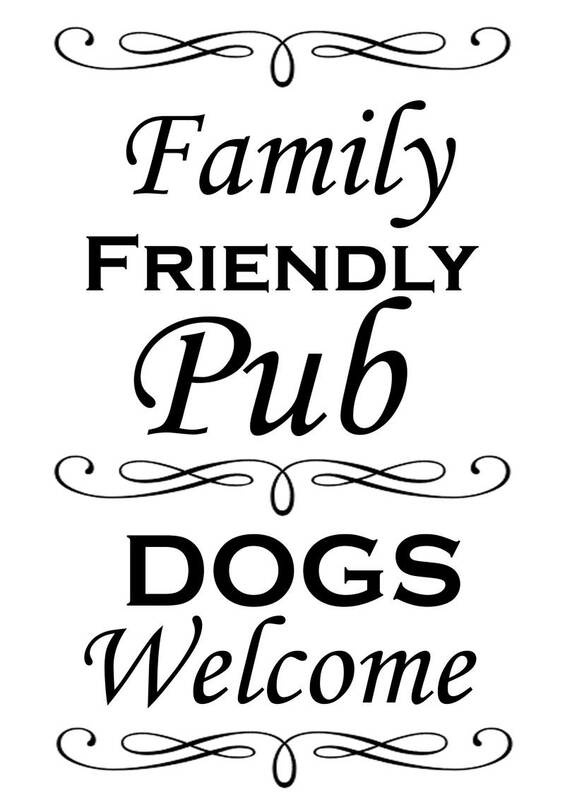 We are a family friendly pub and dogs are welcome. We look forward to welcoming you to the Fynach. 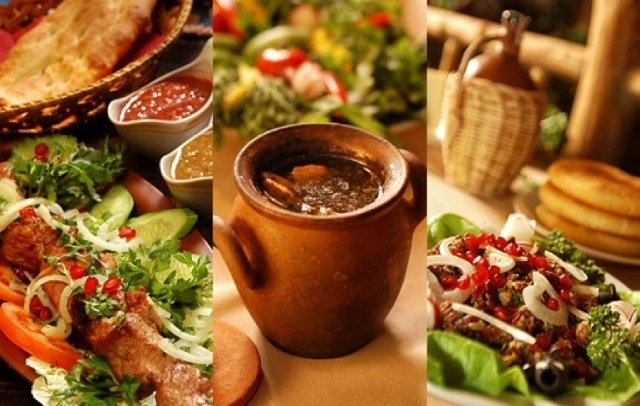 2 meals for £12 Sunday to Friday 5pm to 7pm. Take a look at our Cask Ales report. 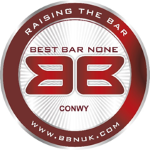 Congratulations to the Rhos Fynach who are the gold award winner and now accredited premises to the Best Bar None scheme. Let the Rhos Fynach make your day or night special with our personal touch from a family run business. If you are looking for somewhere to celebrate that special Birthday, Christening, Anniversary, Work Party etc. get in touch with the Rhos Fynach to see what we can do for you. The Rhos Fynach has a range of room and food options to meet your requirements. If you are looking for DJ's or a band for the evening then we can help you with these too. At the Rhos Fynach we strive to make your occassion as happy and stress free as possible. As a family run business, the personal touch is no more apparent than on your special day with us. 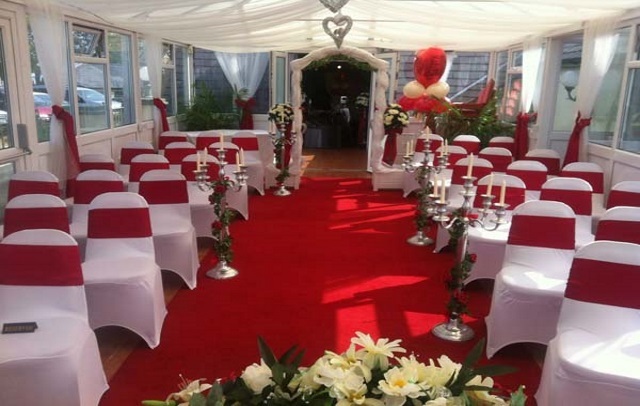 Naz, Rhos Fynachs's wedding co-ordinator, creates the perfect wedding around your needs and requirements. Your Wedding is one of the most memorable days of your life. The meticulous level of detail and pre planning that goes into creating this special day has been perfected by The Wedding Team at the Rhos Fynach with a combined knowledge of over 100 years within the wedding industry. Nice atmosphere and a good range of traditional ales. Food was first class, will visit again. Absolutely lovely venue for a our grandson’s Christening Buffet. I was very impressed with the upstairs room which looked lovely with white table cloths and chair covers, it was light and bright and it just looked really welcoming. The Buffet was lovely and fresh and plentiful with a constant supply of chips!! and the staff were very pleasant and helpful. I would definitely recommend The Rhos Fynach. Have eaten here on several occasions over the years always enjoyed the food, but on reading some of the recent negative reviews was not quite sure if I wanted to eat here for a birthday lunch, all I can say is I'm glad we chose the Rhos Fynach, it was busy, the service was good and all staff very attentive and enjoyed the food typical pub grub, would definitely eat here again. 15 of us turned up without a reservation and they were very accommodating. All the food arrived at the same time and was hot. The food was excellent- my wife's vegi lasagne was 1 of the nicest that she had ever had. They even gave the 7 kids free crazy golf. Excellent time spent sat outside the crazy golf part- able to watch kids playing while we enjoyed the sun and music and have a drink. Food was snacks but excellent- burgers, hotdogs, wraps etc- ideal for what we wanted, pleasant surroundings and helpful staff- especially when my grandson wacked his sister in the face with a golf club!! Place was spotlessly clean, staff cleared tables and emptied bins etc! Would highly recommend and will come back minus the grandchildren just to sit and enjoy the food and music!! 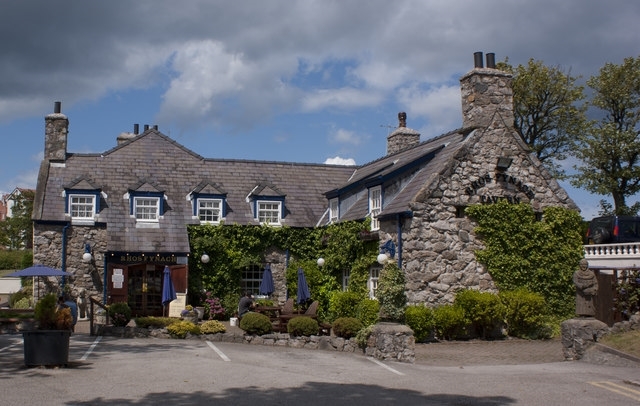 The Rhos Fynach, now a beautifully restored pub and restaurant with a wonderful function room for weddings and special occasions, was originally a 12th century monastery with secret tunnels linking it to the nearby tiny, 6th century, Chapel of St Trillo. Save time and book online, it's quick and simple. 2019 www.RhosFynach.co.uk, All rights reserved.